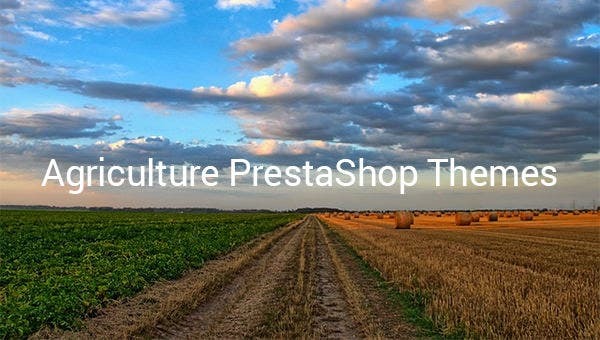 The agricultural equipment store prestashop theme is the perfect option for those who want to create a clean and elegant website keeping in mind the commercial side of it. Designed for the agricultural tools, gardening supplies, the advanced HTML and CSS coding makes it perfectly compatible for all the latest browsers. Features like Ajax Search, responsive home page slide show, product comparison make its more popular. 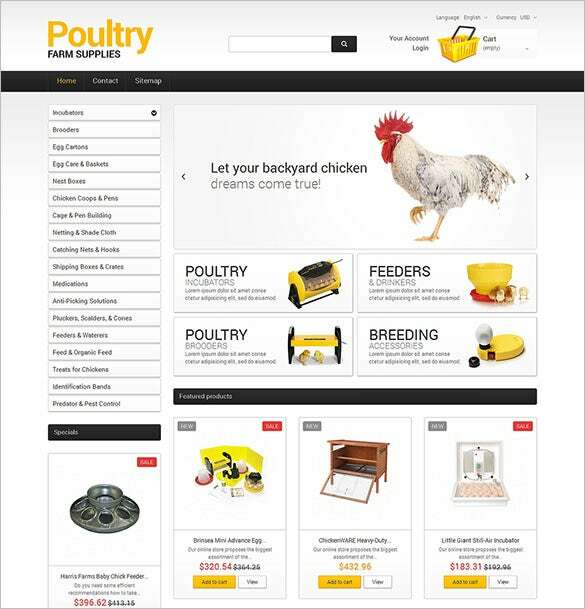 Make your products look more fresh with this Poultry Farm Supplies PrestaShop Theme. 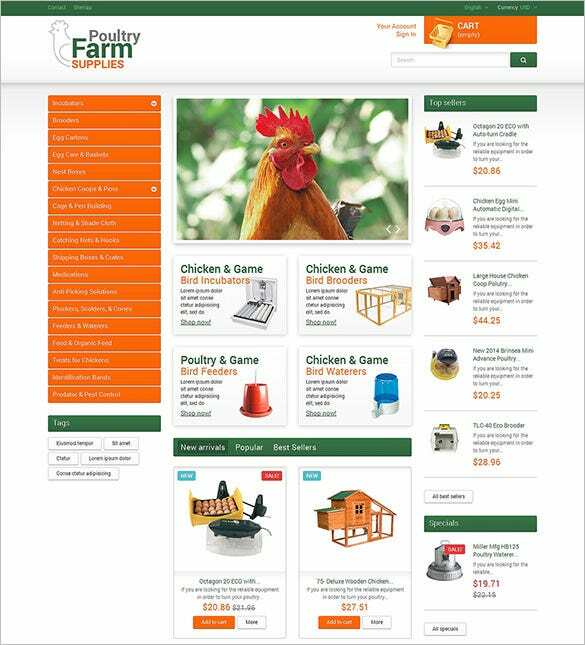 Its down to earth design allows your farm supplies look more appealing and is packed with web forms, Sample Content and Tooltips for your aid. Wish to sell farming equipment online? 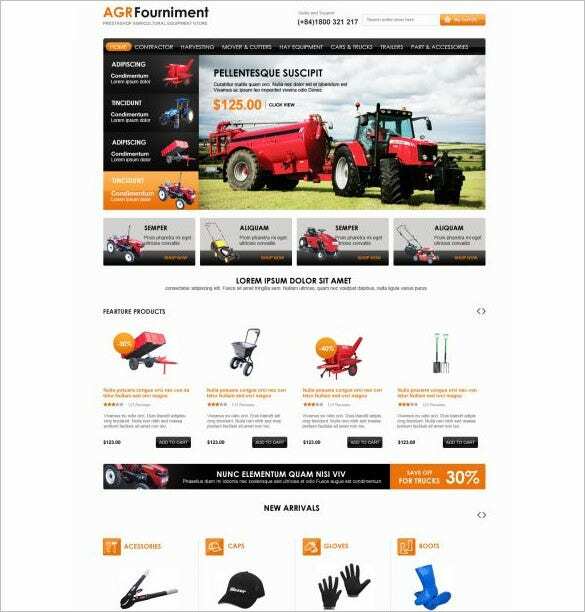 Start with this Farming Equipment PrestaShop Theme for the best results. It has full-width gallery, labels and slideshow to let your products stand out. Starting out with a new online store? Try this Poultry Farm PrestaShop Theme with a 100% responsive design and you won’t be disappointed. It has grid/list category view, drop downmenu, drop down cart and more. Want a great poultry farm themed site? 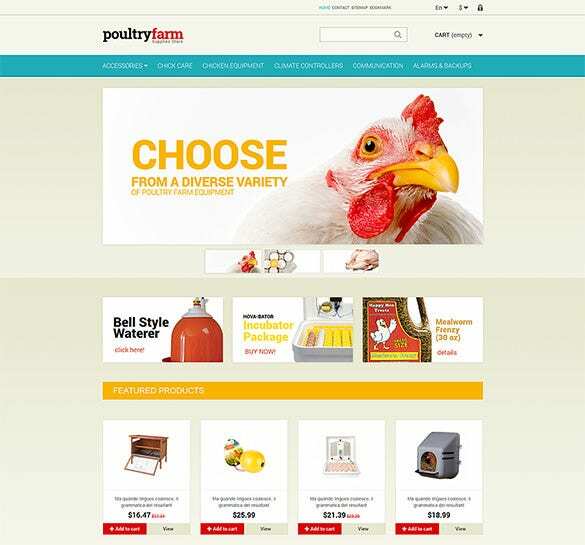 Give this feature-rich PrestaShop Theme For Poultry Farm a try. With this you get access to effortless installation, wishlist page, extensive documentation and Standard Compliant Coding. The high definition images for the different themes can be used for the background images. Product image zoom, Product comparison, Stock management, Cross-selling, Customer product reviews are the necessary plugins which you can download for free and add to the website.